2014. Heinkel He 219 wing span 40inch. This was a model I started about 3 years ago, then I got fully involved with EDF fans, it’s a plane I have always liked especially the camouflage . 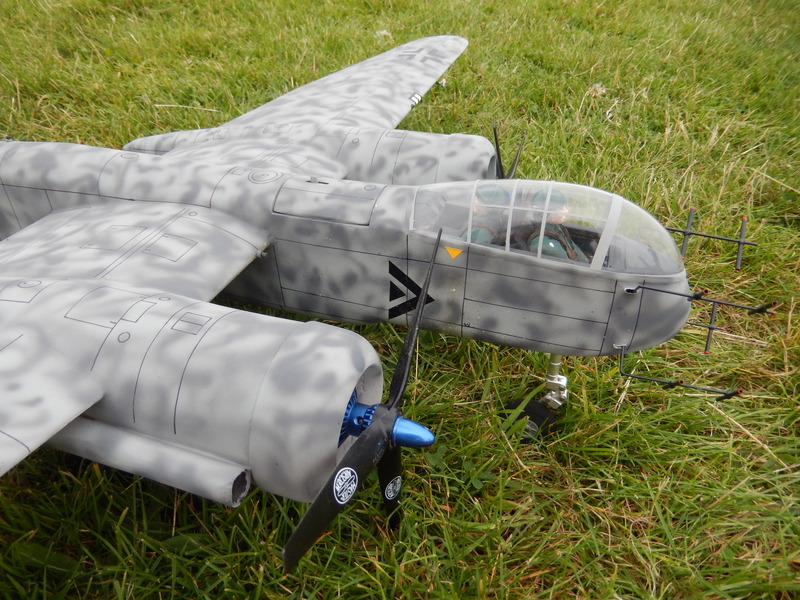 Last spring 2014, I decided it was about time I finished the model, construction was from enlarged plans fitted with two electric motors and 30 amp speed controllers all powered from 12 volt Li-Po. 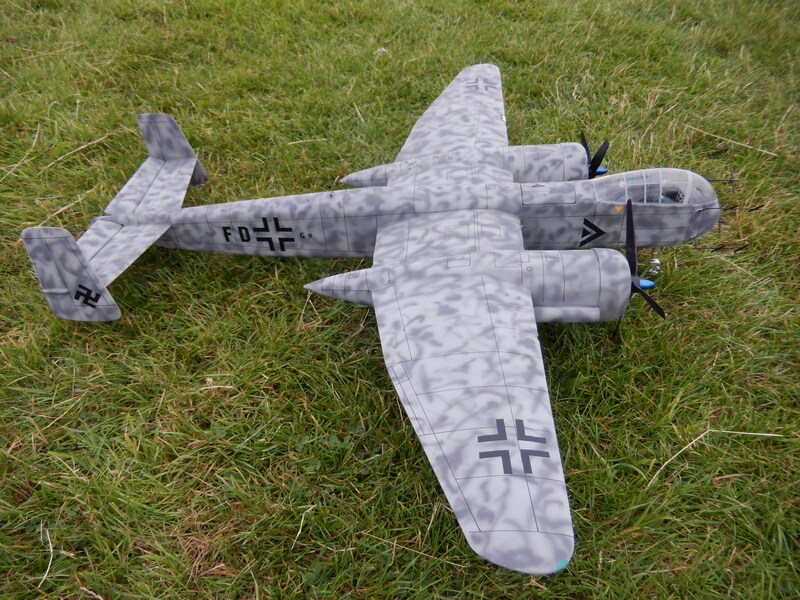 The model was fitted with a fixed U/C but has now been fitted with retracts which function well, it is also fitted with a sound machine gun module to add realism, the model balances very well bearing in mind the long rear fuselage no doubt this is due to the motors being far forward of the CG.